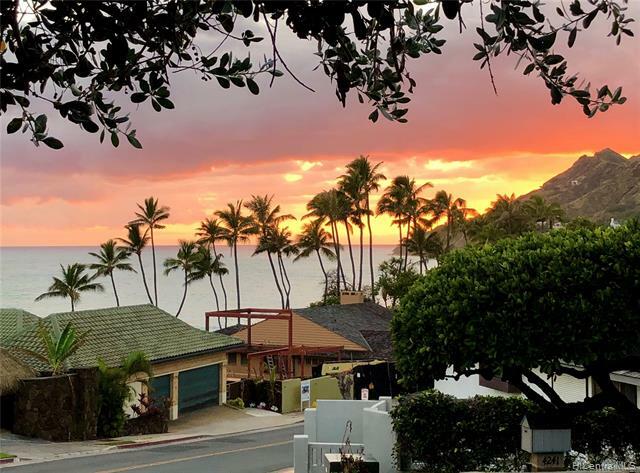 All Honolulu homes currently listed for sale in Honolulu as of 04/21/2019 are shown below. You can change the search criteria at any time by pressing the 'Change Search' button below. "Hawaii's most exclusive Grand Penthouse. This Estate in the Sky represents the pinnacle of high-end luxury living and architectural sophistication with its sweeping water-inspired glass facade, high ceilings, and stunning 360-degree orientation. Waiea 36 GPH A and 35 PH C is an offering of two residences and two tax keys with over 9,776 square feet of luxurious living and over 1570 square feet of decks, a private rooftop infinity pool/spa, wine room, media room and private garage. When sold together the residence is offered at $36,000,000. 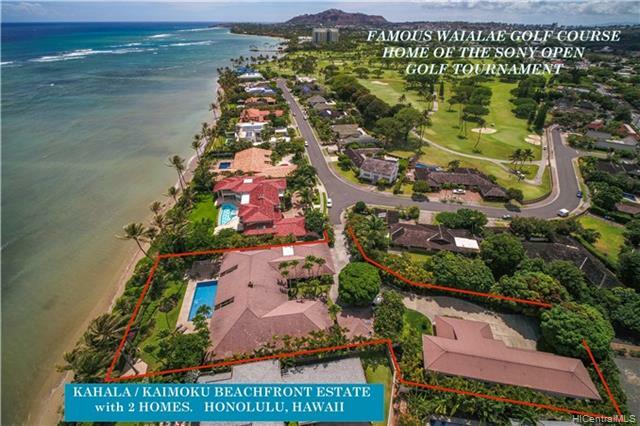 Individual unit offerings: Waiea 36 GPH 36 A: $29,000,000 with the first right of refusal to the Buyer to purchase the Pool-House PH 35 C for $7,000,000. Prime location in the heart of the award-winning Ward Villag.e master planned resort." "Waiea Grand Penthouse 35 is offered as a shell for an owner to customize. One of only two homes at Waiea with its own private pool. 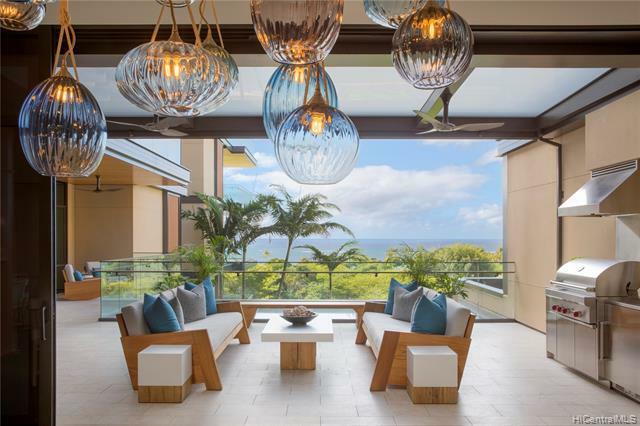 Penthouse 35 boasts dramatic ocean, coastal and Diamond Head views. The offering is a combination of three residences: Waiea 35 PH A is $21,500,000, Waiea 35 PH B is $6,500,000 and Waiea 35 PH D is $7,000,000.Sold together the home is $35,000,000. Waiea 35 PH A, has the first right of refusal on the pool house - Waiea 35 PH D. When the three separate tax keys are sold as one home it is over 8,480 square feet of interior living area with approximately 2,030 square feet of a rooftop lanai with your own private infinity pool/spa. Floorplans and build out allowances available upon request." 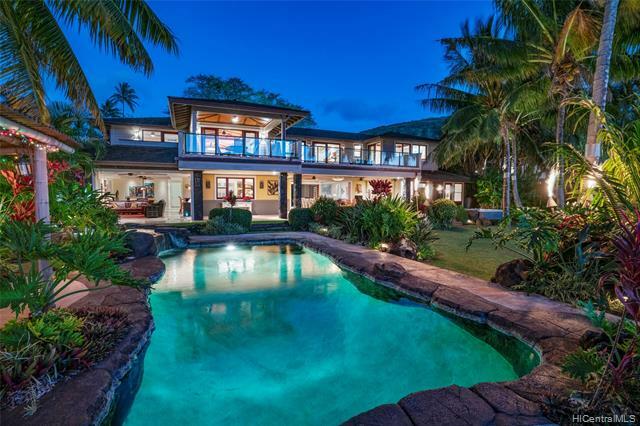 "A pedigreed past and artistically renovated by the current owner, this one-of-a-kind compound combines European detail and the comfort of the islands to create a quiet refuge like no other on Kahala Avenue. No expense was spared in the original construction and attention to details in this Palatial oceanfront estate. 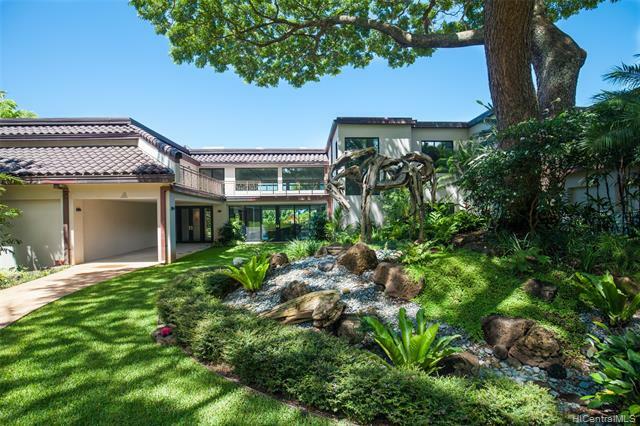 Beautiful manicured grounds, circular driveway, grand entrance, theater, all-tile swimming pool and spa with amazing sculptured water feature, the oceanfront lanai is 4,000+ s.f. and runs the entire length of the home. One of the most amazing oceanfront estates to come on the market in years." 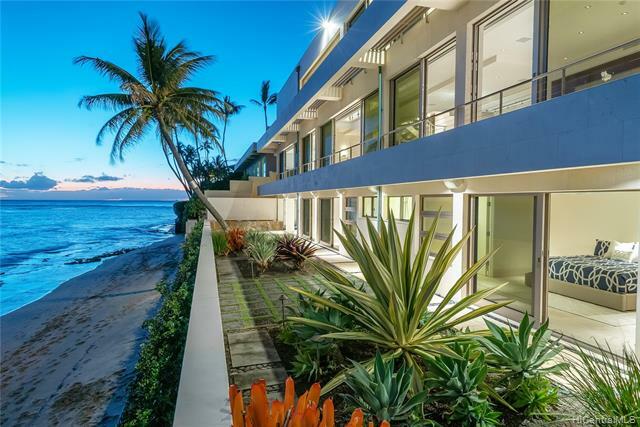 "Elegant multi-level contemporary oceanfront home near Doris Duke's Shangri La Estate with a gracious interior that opens onto terraces with some of Honolulu's finest views of an azure cove, coconut lined white sand beaches, the surf, sunsets and Diamond Head. A statement making, yet intimate house, with a stunning interior, just right for entertaining or hiding away. Featured in Forbes Magazine and Architectural Digest. 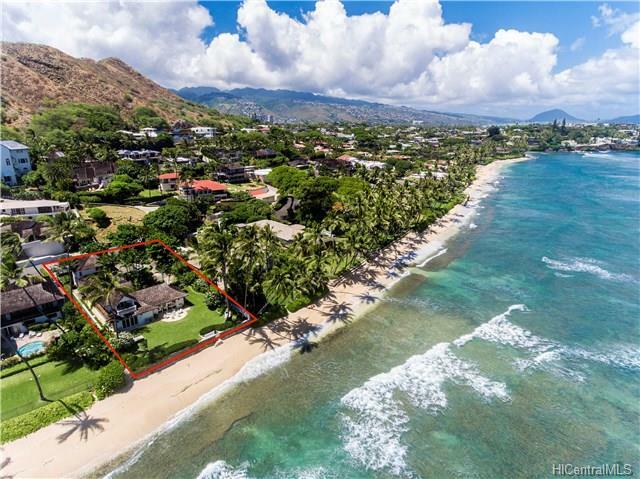 Private deeded beach access to one of Diamond Head's finest beaches. Located at the end of a private street. Close to the shopping and restaurants of Kahala and Waikiki." "Anaha epitomizes inspired design. Envisioned by leading architects and interior designers, every space within Anaha, and the facade itself, is an expression of grace, elegance and innovation. Anaha 3800, is one of two grand Penthouse residences within the building offering spectacular Diamond Head and ocean views, and raising the benchmark for luxury living in one of the world's most desirable locations. The build out of this stunning residence is scheduled for completion in 2019. Floor plans and finish specifications will be available upon request. Design features include over 6,730 square feet of interior living areas and a private roof top terrace with infinity pool. Amenities of a luxury resort, ten foot high ceilings and a brilliant rolling glass facade." "This is an opportunity never seen before in Hawaii Kai, and probably will never be seen again. By including the adjoining 40,720 sq ft lot, one has 62,259 sq ft of contiguous ocean view land. See plans at bit.ly/OahuRE280 to create a magnificent estate. For stunning high-resolution photos of the current home go to bit.ly/OahuRE_88. Don t miss this opportunity to own one of the nicest Ocean View Estates on Oahu. Move-in now to a home that will continually make you say Wow . The home is ideally situated for the trade winds, with the pool area offering perfect breezes to ensure comfort." "Anaha, is known as one of the most sophisticated and design-forward residential design condominium buildings on Oahu, raising the benchmark for luxury living in one of the world's most desirable locations. Anaha 3801, is one of two grand Penthouse residences within the building, with a spectacular Downtown Honolulu, Kewalo Basin and westerly view orientation. The build out of this stunning residence is scheduled for completion in 2019. Floor plans and finish specifications will be available upon request. Design features include over 5819 square feet of interior living areas and a private roof top terrace with infinity pool. Amenities of a luxury resort, ten foot high ceilings and a brilliant rolling glass facade." "Homes are VERY RARELY available on this stretch of beach!! 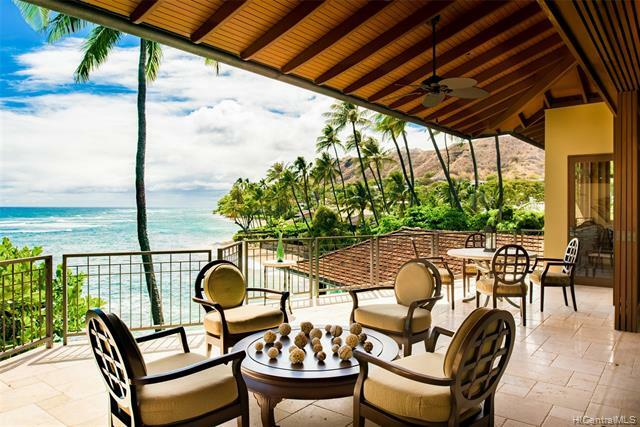 Situated on prestigious Diamond Head, fronting 85+linear feet of gorgeous sandy beach. This beautiful home was thoughtfully & meticulously rebuilt to new in 2004, w/exceptional attention to design details, keeping the spirit & charm of a classic Kama'aina residence. Finishes include traditional batten board siding, hardwood flooring, crown moldings & walls of pocketing glass doors to enjoy gorgeous ocean & garden views. A generous second floor master suite boasts vaulting ceilings, a covered ocean facing lanai, walk-in closet w/numerous built ins. The entry to the property is impressively walled for privacy. This one-of-a-kind Diamond Head home is in the perfect location to rediscover the pleasures of island living!" 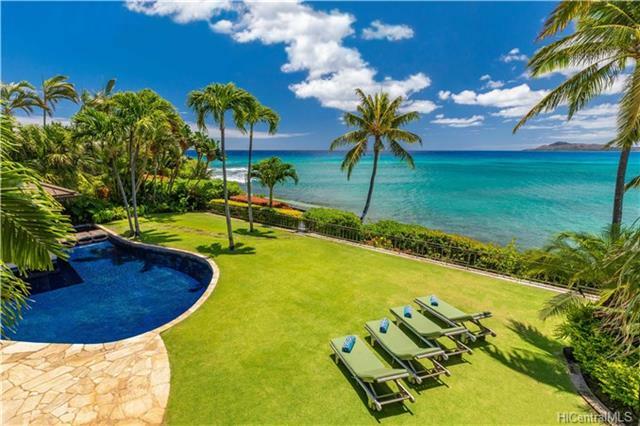 "BEACHFRONT ESTATE WITH 2 HOMES SPANS 118 LINEAR FEET OF OCEAN FRONTAGE AND OFFERS WIDE SWEEPING OCEAN VIEWS TO KOKO HEAD. TROPHY PROPERTY of nearly 1 acre of land consisting of 2 parcels. Very private and serene setting located on prestigious Kaimoku Place, a one block street of only 10 oceanfront homes near Waialae Golf Course. Gated entrance into the Estate leads to an enclave with an Oceanfront single level home of 5 bedrooms + pool, a caretaker s 1 BR cottage, and 4 BR two-story Guest House (built in 2000). Refresh this luxury beachfront Estate and enjoy Honolulu s tropical lifestyle in this HIGHLY DESIRED & RARELY AVAILABLE LOCATION. Near Kahala Mall shops, restaurants & Whole Foods Market." "HAWAIIAN PARADISE in this SERENE OASIS designed by mid-century renowned architect, Vladimir Ossipoff. This one-acre private waterfront estate is an exceptional single-level residence that will captivate you the moment you arrive! Situated in a secluded gated community, the circular driveway winds around an elegant water fountain w/tropical landscaping that leads to this 7,995 sf haven complete w/guest house & maid s quarters. The impressive entry boasts an indoor waterfall pond that meanders through an expansive great room w/fireplace & wet bar area, floor-to-ceiling glass doors offering incredible island breezes, natural light & spectacular panoramic views in all directions. Surrounded by a lush wrap around manicured lawn, tiled pool & jacuzzi, this home is excellent for entertaining!" "Bali inspired oceanfront villa with mesmerizing views of the Pacific Ocean! Enjoy the fresh ocean breezes and soothing sounds of ocean waves breaking at the cliff. Relax in the cliff side hot tub and pool overlooking the endless ocean. Lush terraced gardens, soothing waterfall and koi pond leads to the seamless transition from outdoors to indoors. The estate offers 5 ensuite bedrooms and baths providing the ultimate in privacy and exclusivity. Theater room/ pool room brings families and friends together for good times! This Balinese estate is located on the most sought after slopes of Diamond Head and has something unique to offer for everyone. Make this one of a kind fully furnished estate the paradise of your dreams where blue ocean meets the land." "MALIBU BEACH HOME IN HONOLULU Prime Diamond Head Oceanfront Location! Approximately 122 linear feet of Sandy Beach Frontage. Enjoy ocean views from virtually every room of this stunning modern luxury residence by architect Daniel Moran. Steel/concrete construction with custom details & quality materials throughout. Walls of glass maximize the sweeping PANORAMIC OCEAN, SUNRISE & SUNSET VIEWS. Home s unique position also captures views of the Diamond Head Lighthouse. Features Smart Home technology, sound system, oceanside Jacuzzi, central A/C, Photovoltaic System. Elevator provides easy access to all 3 levels. Generous multi-car garage. Extensively remodeled in 2016. Former home of famed fashion designer Geoffrey Beene. Convenient location close to Waikiki." "The VIEW of a lifetime! See the ocean, hear the ocean, smell the ocean and experience Hawaii as you ve always dreamed! Where morning sun lights up the bay. Where canoes paddle past and whales spout offshore. Where turtles swim nearby and monk seals sunbathe. Where the slightest drizzle makes the prettiest rainbows and the golden sun sets over Diamond Head. 117 feet of ocean frontage makes up your portion of this magnificent seascape. Where the gentle slope of the Portlock Peninsula offers an elevated perch to enjoy it all. No onshore winds, salt, sand or crowds. Just calm and tranquil beauty that is yours alone to enjoy. It s a sought after quality of life, one worth every penny. 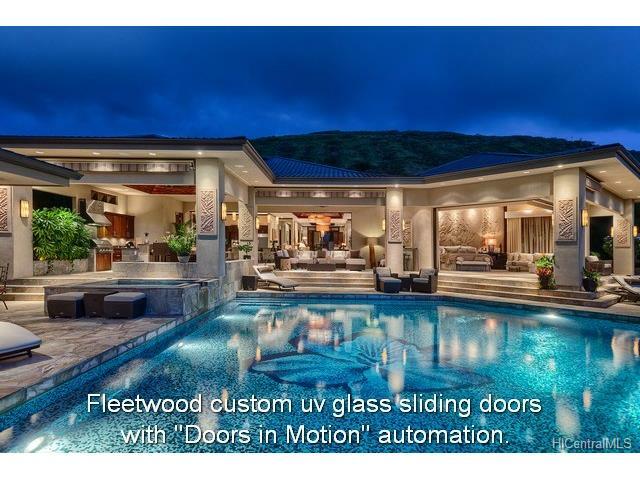 **Property features a permitted Ocean Deck with gated entrance to the Portlock Tide Pools**"
"Magnificent private oceanfront estate on exclusive Hanapepe Loop A choice enclave of 15 oceanfront homes uniquely set high above the ocean facing Diamond Head. 121 linear feet of ocean frontage directly at renowned China Walls surf spot. Renovated by renowned architect, Peter Vincent FAIA, this oceanfront compound features a dramatic 2 story living room, kitchen by Details International, oceanfront pool, spa, pond, 8-seat movie theater and more a grand oceanfront oasis. Look for video icon under MLS Photo." "PANORAMIC OCEAN & MOUNTAIN VIEWS. HOLLYWOOD GLAMOUR & NEW YORK ELEGANCE - ONE-OF-A-KIND LUXURY RESIDENCE IN HONOLULU, HAWAII! Designed/built by Al Masini, famous TV producer and creator of Entertainment Tonight . 2-story hillside home offers unmatched quality in every detail. 5-star Resort atmosphere w tropical waterfalls, outdoor spa Jacuzzi, Biometric entry elevator, personal gym & 4-car garage. Hand selected exceptional stone/marble/elegant finishes of the highest standards. Facing East and South, this spectacular dream home offers security in a prestigious Gated Community." "One of a Kind estate of over 70,000 sq. ft. of land on the slopes of Tantalus encompassing 2 tmk nos. Grand main residence of over 11,000 sq. ft. of living area featuring 4 extra spacious bedrooms with private baths, dining area, multiple living rooms, children play rooms, pool house and more. Spectacular sunset and city views. A must see for the most discriminating buyer. Adjoining property can also be purchased separately." "NEW LISTING! LUXURY REDEFINED. 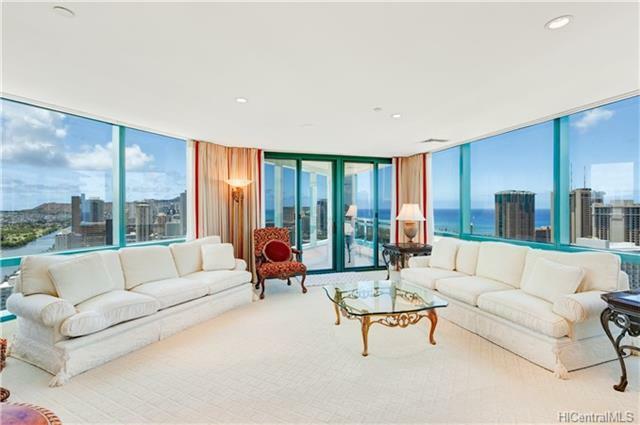 Experience the epitome in urban living w/this extraordinary 3 bd+office/3.5 ba residence at coveted Park Lane Ala Moana. Exquisitely detailed for discerning buyers, unit features over 3,300 sqft of elegant living spaces including an open, free flowing flr plan w/10' tall ceilings, 2 mastr suites, a chef s dream kitchen with Wolf/Sub-Zero appliances & built-in sound system throughout. Exit the floor-to-ceiling glass drs to an extraordinary outdoor area perfect for indr/outdr entertaining w/soothing ocean views, expansive covd patio, private landscaped yd, BBQ area & salt water pool & spa. One of only a few select residences w/attached 2-car garage, this unit combines the convenience of an ultra lux hm w/resort-style amen such as 24-hr security, concierge, valet pkg, theater, dining facilities, fitness ctr, comm pool/spa & pvt wine storage. The perfect location w/exclusive access to Ala Moana Shop Center via pvt elev & just steps from beach! A MUST SEE!!!" "Park Residence #5505 is situated on the 5th floor along the namesake Park Lane. Enjoy the direct ocean views as well as natural light and landscaping views through the windows on the backside of the home. The quintessential U-shaped design of the Park Residences envelops a deep, covered lanai, making the outdoor space a true extension of the home. Park Lane Ala Moana combines with the added benefits of a 24-hour Residential Services team and unparalleled resort-style amenities. Adding to the indoor/outdoor lifestyle experience. Park Lane is located in the heart of Honolulu." "Private Hillside Retreat in Makiki Heights with stunning and expansive views of the Honolulu, Waikiki, Diamond Head, and the Pacific Blue Ocean. This two story custom hillside home built on over one acre of land and is surrounded by lush tropical greenery and a variety of fruit trees. Gated entrance, care takers quarters, 4 car garage with additional parking, circular driveway, complete with fountain. 48+ hours notice to show. Listing agent must be present. All buyers need to be preregistered, no exceptions." 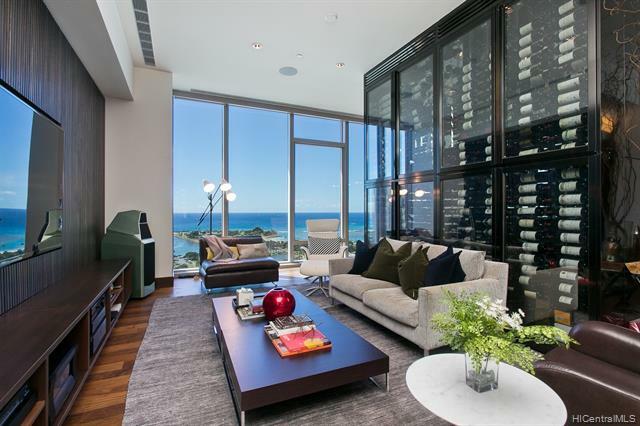 "This beautifully furnished grand penthouse 3BR (2 grand master bedroom suite)+Den +Entertainment room/3.5BA/3 PKG with 1,935 sqft rooftop terrace offers breathtaking views of Ocean, Ala Moana Beach Park, Ala Wai harbor from 10 feet high ceilings & floor to ceiling glass throughout. 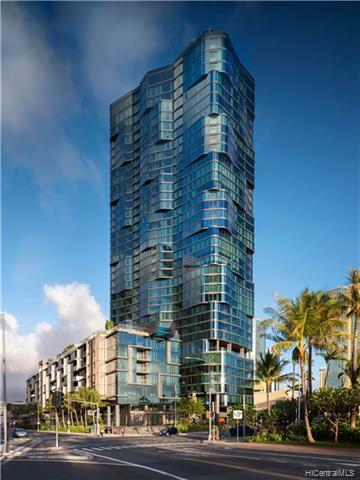 ONE Ala Moana is ultra luxury, an elegant, refined, well designed condominium conveniently located above Ala Moana Center the world s largest open-air mall with extraordinary lifestyle and amenities beyond comparison. Beside a 210 bottle Sub-Zero wine cooler, extra wine tower to showcase and keep hundreds of precious wines. The rooftop terrace is equipped for perfect entertaining with BBQ, pizza oven or just soak in the jacuzzi under the starlight." "An island oasis, Ku oko a Kai, the Hawaiian term meaning Freedom by the Sea, was built in 2011. Developed with custom home technology and impeccably designed to enjoy the serenity and beauty of island living. Travertine and Brazilian Cherry wood floors are paired with detailed accents and light that pour into every room. Standout features include a chef s kitchen with top-of-the-line appliances, an in-home gym, and separate guest quarters. 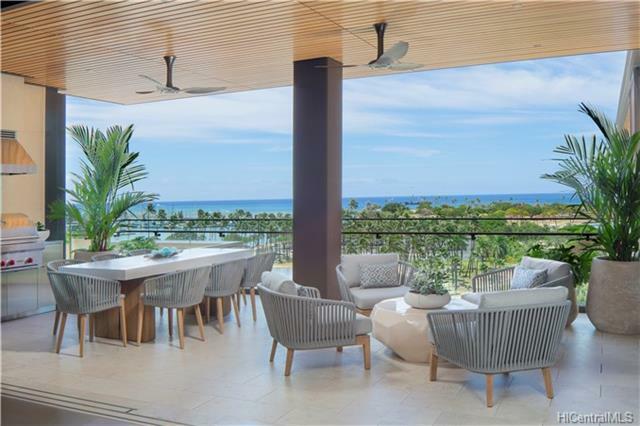 The lower level areas fully open to create a single indoor/outdoor living space with Maunalua Bay and Diamond Head as a backdrop. The distinctive features and attention to detail throughout Ku oko a Kai are unparalleled."